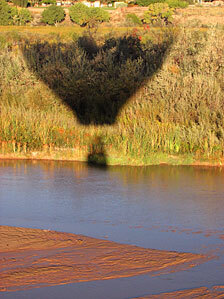 Hot air balloon rides in Albuquerque have been a favorite attraction in New Mexico for many years. Home of the largest balloon festival in the world, Albuquerque boasts beautiful hot air ballooning weather on average 300 days out of the year. 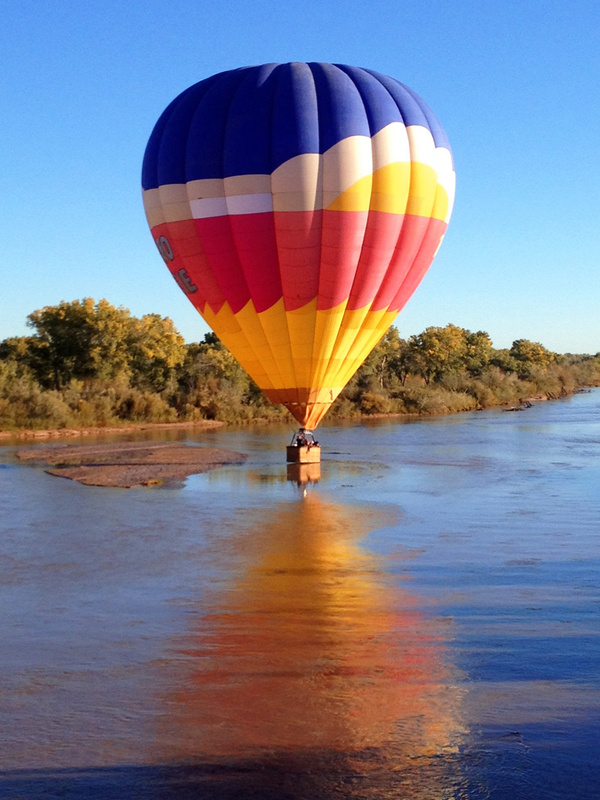 Join Apex Balloons on an unforgettable getaway into the Southwestern sky on your own hot air ballooning adventure in New Mexico. 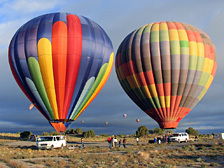 Albuquerque hot air balloon rides have been a favorite attraction for many years. Apex Balloons is a professional hot air balloon company offering hot air balloon rides in Albuquerque New Mexico. 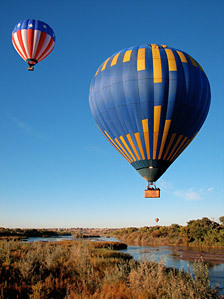 Balloon flights in Albuquerque are offered daily at sunrise each morning, weather permitting. 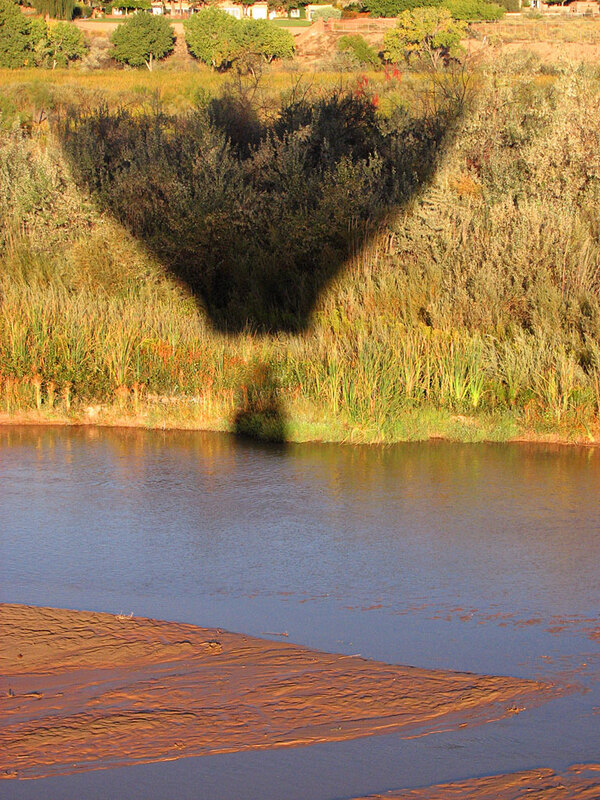 Apex Balloons offers Albuquerque Balloon Festival rides during the first half of October, with hot air balloon flights scheduled daily at sunrise during the incredible mass ascensions in Albuquerque. 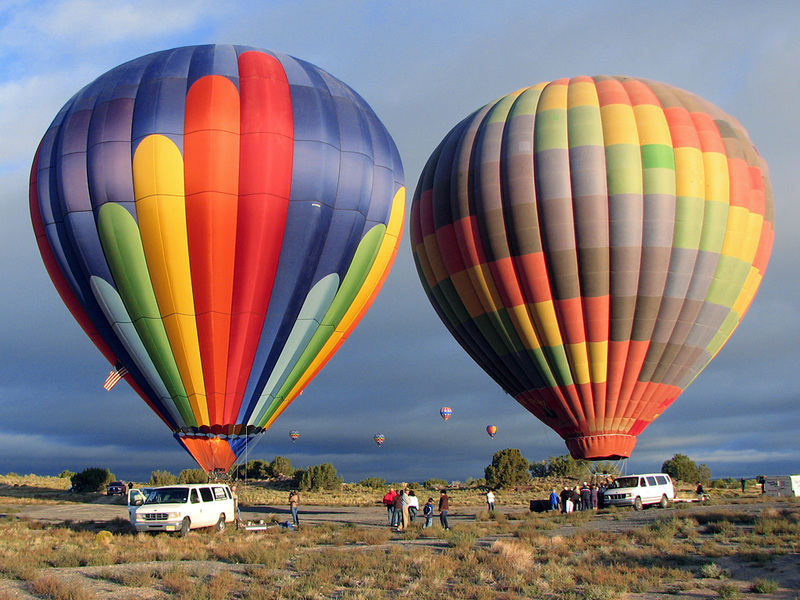 Our 2019 Albuquerque Balloon Festival flights begin on October 3rd, and flights are available each morning through October 15th. Our balloon flights are not affiliated in any way with the Albuquerque International Balloon Fiesta® held at the same time as our flights; however, we have wonderful views of the Mass Ascensions on our flights. Click here to see why you'll agree our flights are the best value for your experience during the Balloon Festival! Please take the time to read all the information on our website - most of the typical questions you'll probably have are answered on the Balloon Rides Page and the FAQ/Information Page. If there are any questions that aren't answered, call Jon Radowski (yours truly, your pilot) directly at 505-333-8511. Our Albuquerque hot air balloon rides offer scenic views of the rugged high desert landscape of New Mexico. We'll have the ultimate vantage point of the Sandia Mountains from our balloon as the sun rises over the crest. Wildlife is often in abundance, and we'll sometimes see jackrabbits, hawks, the occasional coyote, roadrunner and more! 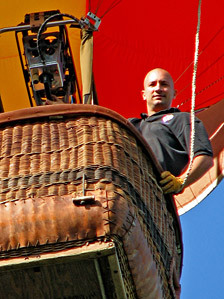 Jon Radowski, the owner and chief pilot of Apex Balloons, has been involved in ballooning essentially his entire life. His interest took off at the age of two when attending a balloon festival with his family. Jon knew from a very early age that he would become a balloon pilot as soon as he grew old enough. After the magic of his first flight, he began flight instruction at the minimum age of 14, designed and built his first hot air balloon at 17, earned his private pilot certificate later that year, and became a commercial pilot at 19 to begin ballooning as a full-time career. In addition to flying balloons, Jon is a balloon repairman, and also designs and builds hot air balloons. Take a look at what's on the drawing board at the design & manufacturing end of Apex Balloons. Jon now has more than 20 years of experience flying hot air balloons of all shapes and sizes. For years, he commanded one of the world's very tallest hot air balloons, the Space Shuttle Patriot. Towering at a height of nearly 190 feet and with a wingspan of 115 feet, the shuttle balloon is three times taller than most balloons and twice as wide! Jon has flown some of the largest passenger balloons in North America, corporate balloons, and numerous special shapes. In addition to balloons, Jon also flies hot air airships, blimps, gliders, airplanes, and powered paragliders, and he is also a skydiver. He has flown in over 22 different states as well as Canada, Mexico, Australia, Switzerland and India. He has a natural skill at flying balloons and takes considerable pride in his unblemished safety record, with thousands of happy passengers flown without a single injury. Jon is also a hot air balloon flight instructor and has trained a number of students through to their private and commercial hot air balloon pilot certificates. Jon's careful attention to detail, consideration for the enjoyment of guests, skill at controlling the balloon, and commitment to safety will ensure that you have a most incredible flight that will be remembered forever. Join us up there!